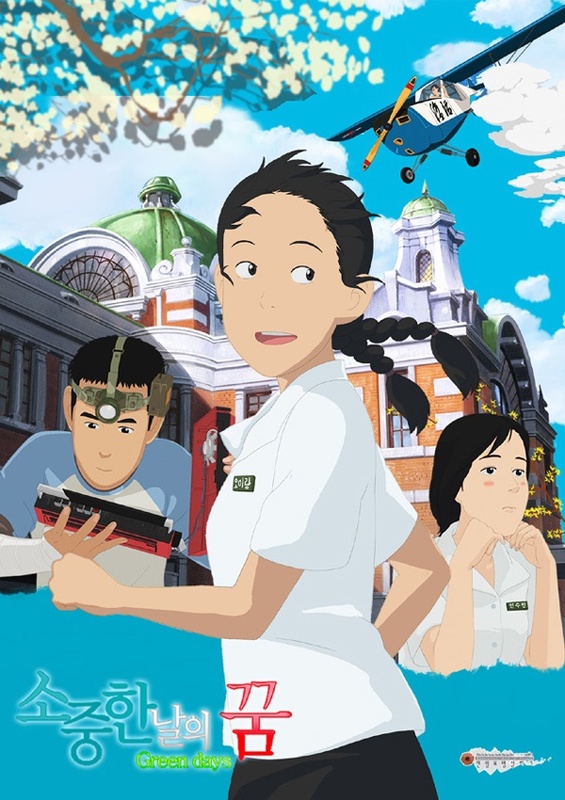 Korean animation film "소중한 날의 꿈" (Green Days) has been invited to the 2011 Annecy International Animation Film Festival, the equivalent to Cannes Film Festival in the animation world. Last November, "Green Days" was also presented at the 2010 London Korea Film Festival. *Intesting fact: Song Chang Ui, who voices as the male protagonist in "Green Days" has confirmed to join the cast of MBC drama "넌 내게 반했어" (You're Into Me) alongside Park Shin Hye and Jung Yonghwa. Congrats to Shin Hye and to Green Days. I hope they release a DVD of this movie, so that we can watch it. Wow congrats!!!! I want to watch this anime! Woaaah really Song Chang Ui will be in Shin Hye new drama along with Jong Hwa....Will he be a cameo or play significant role?